DIAZ "out of the box"
The possibilities are endless as we play around with more designs for the ‘up-cycled’ RE series. Once again, using old silver bangles, this time we experimented by putting several pieces together, tying them with wire and using an interesting technique of fusing rather than soldering. 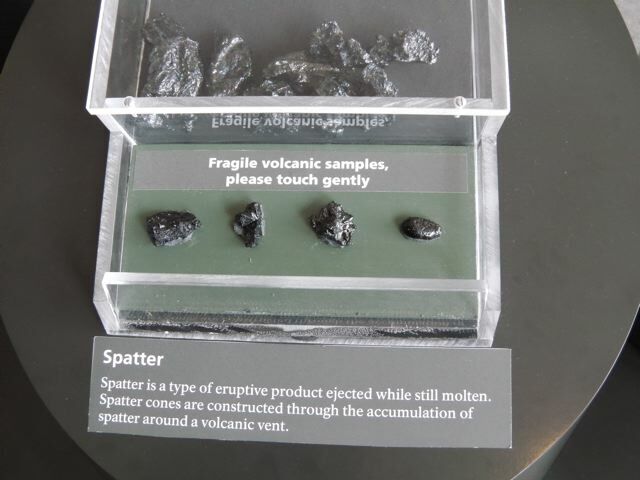 The aim was for more unpredictable formations, and this was achieved by keeping the temperature high enough so that the joints of the pieces melt and fuse together. The magic touch is added when heating it further actually makes the metal molten in places. Temperature control is key to prevent total melting that would simply deform the ring. It’s a lava-inspired feeling. The result is pretty awesome! It’s chunky-biomorphic and edgy all rolled in one. 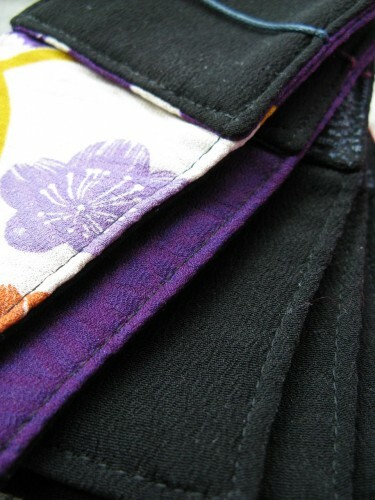 All DIAZ Jewelry now comes packaged in a gorgeous silk kimono pouch that fits snuggly in our gift box. Of course, in keeping with our packaging philosophy, the silk used is recycled remnant fabric and the pouches are hand sewn in Japan. We love that each pouch is unique and no two are alike. On our trip to the Big Island of Hawaii, one of the highlights was seeing Kilauea and Mauna Loa, the most active volcano in the world and the biggest volcano in the world. They said we were unlucky to be a couple weeks too late to see any active lava flows, but lucky the levels of sulphur dioxide gas was not high enough to pose any health hazards! 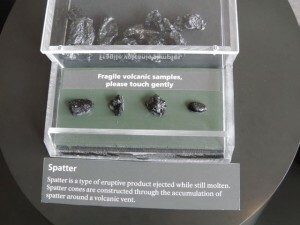 Luck aside, we were thrilled to see the fragile volcanic samples displayed at our first stop, the Jaggar Museum at Hawaii Volcanoes National Park. The resemblance of the meteor-like volcanic ‘spatter’ to our ‘Iwa Rock‘ (that we cast in silver from a little granite rock) is superb! We couldn’t wait to drive out to see if we could find some of our own samples down Chain of Craters Road, a 23 mile winding paved road through the East Rift and coastal area of Hawaii Volcanoes National Park. This road descends 3,700 feet in 20 miles and ends where a lava flow crossed the road in 2003. 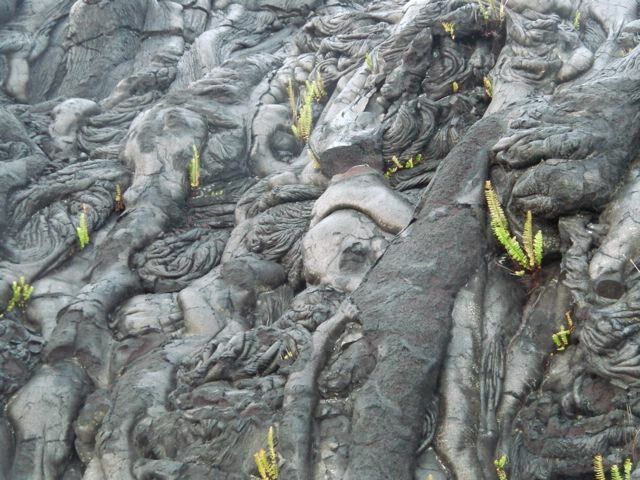 It was simply spectacular, and boy, did we get to see some volcanic rock! We stopped every time we saw something surreal; which is quite often on this road where surreal seems to be the norm. 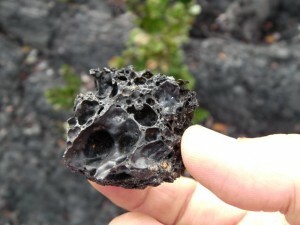 We studied the different types of rock and lava formations with childlike intrigue and delight. Chasing a rainbow added to the fun of things! We were surrounded by samples upon samples of cinder fragments, smooth ‘Pahoehoe’ and jagged ”A-’a’ lava rock, as well as the harder to find delicate droplet-shaped ‘Pele’s Tears’ and the wispy strands of ‘Pele’s Hair’. 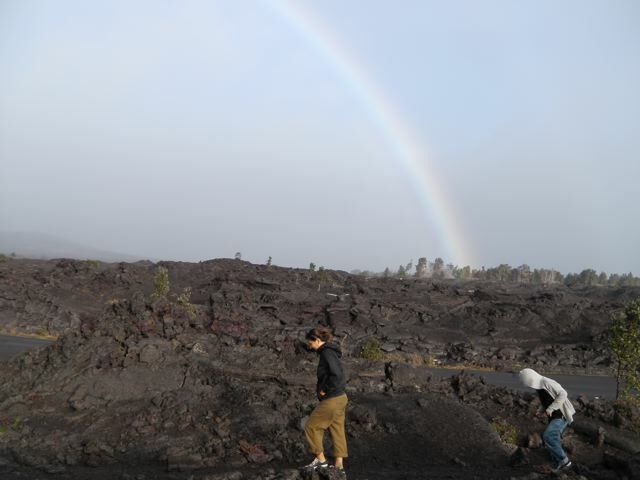 And with much respect to the goddess of fire, lightning, wind, and volcanoes, everything we picked up was left just where we found it – in the magical, mystical area around the Halemaumau Crater of the Kilauea Volcano, the present home of the goddess, Madame Pele. We stayed way into the night exploring (the park stays open 24/7). We must add that driving back up the winding path of destruction in total darkness was equally as thrilling and unforgettable as driving down in daylight. For rock-lovers and collectors, there was nothing tangible we could bring home from the trip, but we did come back with something wonderful yet undefinable on a spiritual level. We gained a renewed sense of respect and admiration for Mother Earth’s power of destruction/creation, and so much invaluable inspiration for new designs. Mahalo nui loa Hawai’i. A hui hou! —- Thank you, Hawaii for a lovely time. We’ll see you again soon! 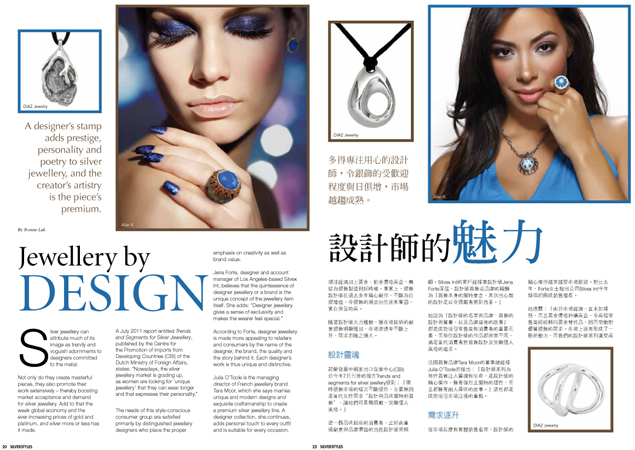 DIAZ was featured in the January 2012 issue of SilverStyles magazine! We often tell people to go visit Kyoto. But when asked what it is about Kyoto that is so wonderful, we are usually lost for perfect words. 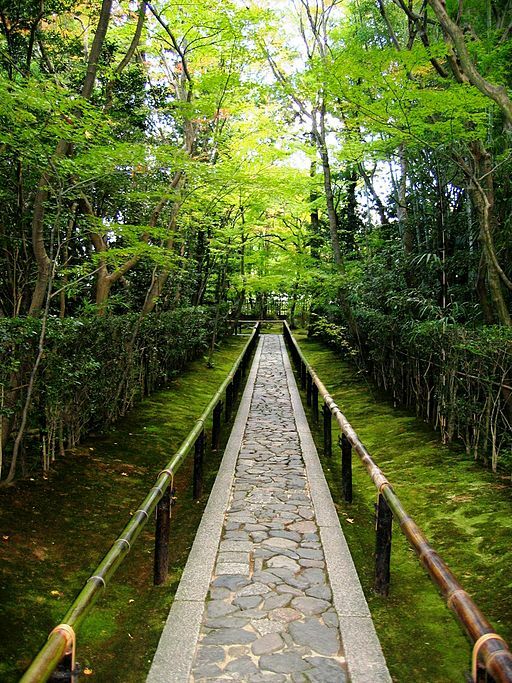 In short, it’s hard to express the subtlety and serenity that evokes the beauty of Kyoto. We always love going back to Japan. Literally anywhere there will do, but Kyoto is by far the most therapeutic and inspiring. We like to think of it as a kind of magic that’s just in the air there, guaranteeing to mesmerize and capture us on a soul level no matter how many times we go. It takes us back to a place where we remember that simplicity is good, natural beauty is abundant, and authenticity and excellence are integral components of quality. Besides the 17 UNESCO World Heritage sites and over 400 Shinto shrines, there are more than 1600 Buddhist temples in the city. We particularly love the Zen temples that are architectural symbols of impermanence, serving as a reminder that authenticity, not perfection is the goal. The catch is, they do manage to withstand the test of time and are just perfect. You can energetically sense equanimity, wisdom, and compassion on the temple grounds as you’re captured in the moment by the understated simplicity that is just so immensely intricate. And then it hits you, and you just get it… that non-dualistic contradictory nature of Zen… It is nothing yet it is everything! What’s fun about Kyoto is the anticipation of encountering the vibrant traditional Japanese culture of your dreams, and then finding yourself pleasantly surprised because it’s all that and so much more. The true essence of Kyoto’s beauty is largely hidden from casual view. There are thousands of pockets of incredible beauty scattered across the city. The more you look, the more you see. nota bene: Take time to explore Kyoto. Which comes first, the poop or the paper? In our never-ending quest to find more sustainable ways to package our jewelry, we recently came across a wonderful substitute for paper packaging made from pulpwood. We discovered paper made out of elephant poop. We immediately fell in love with the gorgeously textured paper and have used it for packaging as well as for displaying our pieces at exhibitions. As everyone naturally does, we know you’re wondering, so we’ll tell you not to worry, it is completely and utterly odorless. You’d never guess! 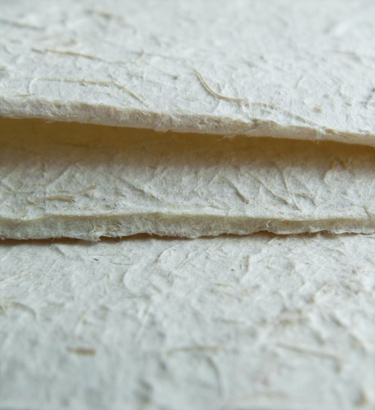 Here’s an explanation on how it can be done from POOPOOPAPER™, a cool online store specializing in all sorts of paper made from all sorts of animal poop. PLAYFULLY OUTRAGEOUS WITH A SERIOUS UNDERLYING MESSAGE OF SUSTAINABILITY! The breathtaking splendor of the Angkor temple complex is ineffable. A thousand snapshots couldn’t do the actual scenery any justice. At every corner, on every stone carving at every ruin there is a reminder of the amazing potential and power of human capability. Although some of the oldest ruins are said to date back over a thousand years, the dedication, care and commitment of the regal builders and craftsmen of the Khmer Empire is sensed and celebrated in every detail as if each was a brand new monument. The sheer scale and beauty of the craftsmanship serves as a slap-in-the-face reminder of the creative potential of humankind – capabilities and possibilities that everyone of us holds. 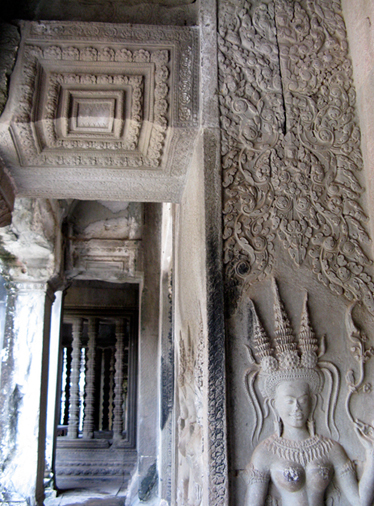 Angkor offers a glimpse at what could be achieved if and when we try. This knowingness of potential seems set in the DNA of the Khmer people of today. Within every person we encountered, be it the hotel manager or a street stall-keeper, we noticed a high degree of dedication to perfection that was partnered with an inner peace and calmness – a sort of egoless pride and richness of spirit that has absolutely nothing to do with actual wealth or status. Still relatively uncorrupted by materialism and capitalism, life in the town of Siem Reap is so simple. There is a deep sense of heritage, nostalgia and hospitality at a depth that could only be produced by a people with a genuine and true understanding and appreciation of life. In Cambodia’s recent history, years of war and genocide decimated a great number of the heirs of artistic tradition. With them disappeared a vast body of skills and expertise. Artisans d’Angkor was established as a professional training school that was founded to help young Cambodians rediscover traditional handicrafts and give them the opportunity to take part in the rebuilding process of their country. 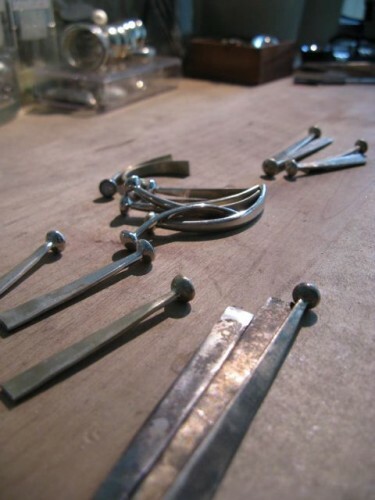 It was set up as a school-to-work transition for the young craftsmen that had been trained. The organization actively promotes the diversity and cultural richness of the Khmer handicraft tradition including stone and wood carving, and metalwork such as jewelry and bronze ware which dates back to ancient times. 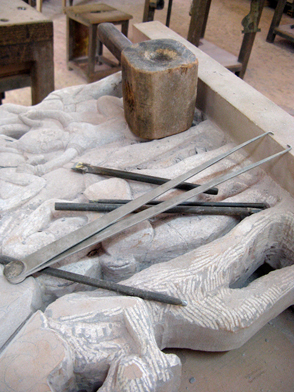 The expansive Artisans d’Angkor site is in the heart of Siem Reap’s town center and makes for a wonderful excursion. We thoroughly enjoyed relaxing in the lush courtyard as much as we did browsing the many workshops and witnessing the Khmer artistic tradition alive and well as the craftsmen and women worked on their creations. 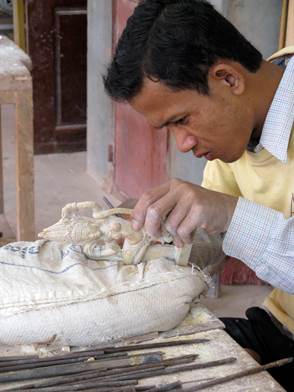 Artisans d’Angkor gracefully fulfills its mission by keeping the hopes and dreams of the young Khmers alive while offering visitors a reminder of the exquisite quality of ‘handmade’. 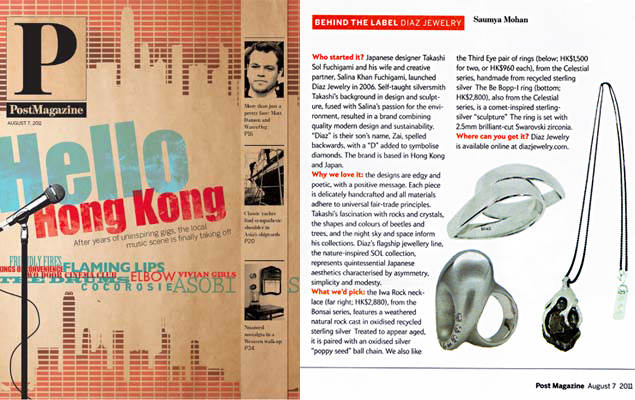 DIAZ Jewelry was recently featured in the ‘Behind the Label’ section of Post Magazine. “Don’t believe anything only by hearsay. Don’t believe according to traditions only because they’ve been honouring them for generations. Don’t believe anything because general opinion thinks it is true, or because they often talked of it. Don’t believe anything on the only witnessing on an antique wise man. Don’t believe anything because probabilities or habits lead you to think it is true. Don’t believe what comes from your own imagination, taking it for a Superior Power ‘s revealing. Don’t believe anything founded on the only authority of your masters and priests. What you really feel by yourself, what you experienced and saw that is true, what is profitable for you and others, in this, believe and adapt your acts”. DIAZ Jewelry is an ethical, sustainable jewelry brand with a mission to create the best products, encourage individuals to defy stereotypes, and use business to inspire creativity and sustainability.